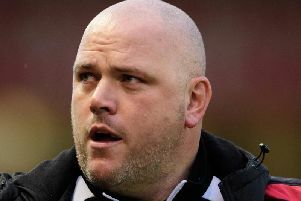 Morecambe head to Oldham Athletic tomorrow with manager Jim Bentley admitting it will be a case of ‘same again’ in terms of his squad. Injuries have decimated the Shrimps’ line-up during the course of the season and struck again following last Saturday’s draw at Northampton Town. That game ended with Vadaine Oliver suffering a knee injury which has since been revealed as one that will keep him out for eight weeks. He joins a number of first-team players on the sidelines; watch as Bentley discusses who he has – or hasn’t – got available this weekend.